Many of the individuals I work with are emergent readers. We work a lot on letters and letter sounds. 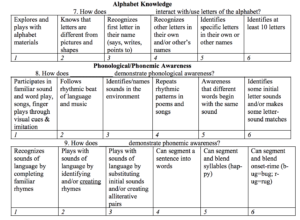 Teachers, parents, and I often use this section from the Bridge Rating Scale with our emergent readers to see what areas of alphabet and phonological/phonemic awareness we need to work on. 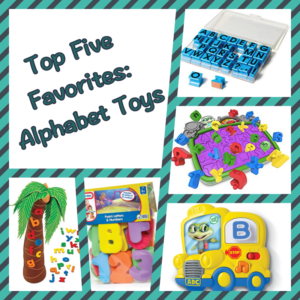 Here are the top five toys that I use the most when working on alphabet knowledge and some phonological/ phonemic awareness skills.